Strong communication is essential to non-profit institutions as they base their very existence on relationships. A non-profit must communicate in a way that mobilizes its constituents and aligns them with the organization’s mission—offering them an opportunity not just to receive information, but to be participants in the growth of the mission. This communication serves as the foundation for the organization’s relationship with its donors, and an organization’s ability to communicate is directly linked to its fundraising success. And while strong communication is essential, the manner in which non-profit organizations interact with their constituents is changing. As donors and prospective donors come to expect ever greater amounts of communication from organizations, organizations are often ill-equipped to meet those expectations. In failing to meet donor expectations, further strain is placed on the bonds of trusts they work so hard to build with their stakeholders. Fortunately, new technologies can help to bridge this gap and strengthen trust between organizations and their constituents. Distributed ledger technology (DLT) can be used to create highly functioning digital tokens that enable organizations to more easily manage fund allocation and give donors greater transparency over donation beneficiaries. As fundraising and fund allocation paradigms continue to shift, non-profits would do well to take advantage of this exciting technology to engage a greater number of people in their work, and in doing so, increase their ability to fulfill mission. Inveniam has already deployed several complex transactions to the blockchain over the course of 2018. 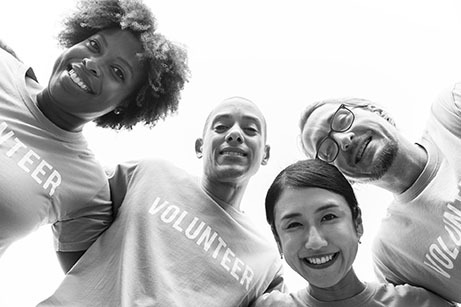 In the first quarter of 2019, we will onboard a selection of non-profit organizations that will build stronger, more trusted relationships with their donors via the Inveniam.io platform. Organizations that wish to improve communications, transparency, and business processes in a robust, new environment can explore the Inveniam.io platform with us.